The holidays are quickly approaching! Are you getting prepared yet? I have eighteen nieces and nephews so I have to prepare way in advance in order to find the perfect gifts for each one. Their ages range from newborn to twenty-three so I have my work cut out for me. I always try to find unique items that they wouldn’t think of asking for but I know they would really love. I found a great item on Amazon for the older ones. This item also really makes a great gift for that person that already has everything. This fun and unique item is called ZINK hAppy. It’s a portable art printer that’s used with your smartphone or tablet. 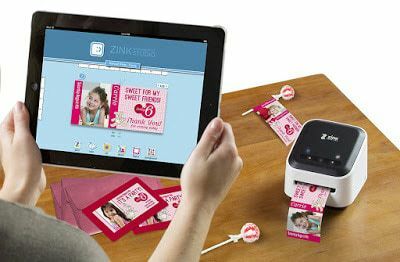 You can create and print custom designs for labels, photos, cards, coupons, stickers, tags, and more. Yes, I said ZERO INK! You can design and print wirelessly right from your smartphone or tablet – ALL WITHOUT INK. 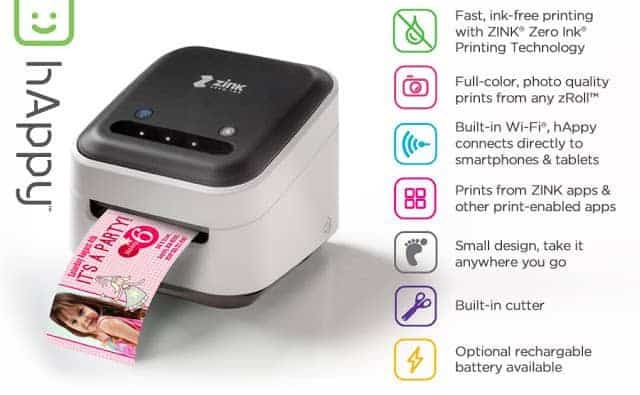 ZINK stands for Zero Ink. This amazing new way to print allows you to be worry-free. 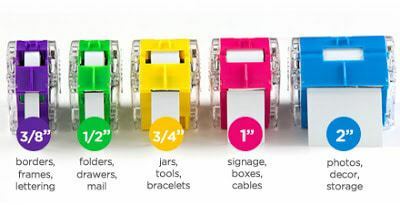 Never worry about needing to buy any ink cartridges, toners, or ribbons. This full-color printer just needs paper. The ZINK zRoll paper comes in five different color coded sizes ranging from 3/8″ to 2″. Each zRoll is slightly over 19′ with about 17′ feet of art space. This paper has an acid-free permanent adhesive backing with an easy to peel liner. The repositionable adhesive backing becomes permanent over time. With the zero ink printing technology, you will have long lasting, high-resolution, full-color prints. This portable printer is fairly lightweight yet durable. It literally fits in the palm of your hand. It’s powered with an AC Adapter which is included. There’s also a Micro USB Port, however, this is not included. You can keep the printer plugged up all the time and use the small power button on the side to turn it on and off. You will see lights on the front of the printer to let you know it’s powered on. There are only a couple of buttons on the printer which makes it very simple for anyone to use. One of the buttons are for the Wi-Fi modes. The other button allows you to unlock and relock the zRoll. Below these two buttons are a grooved line that you swipe your finger across in order for the paper to be cut after it’s printed. You don’t have to worry about any wet ink which I love! Also included is a Quick Start Guide which will walk you through the whole process of getting setup. Photos are included and it’s simple to understand. It takes about 10 minutes to get setup as long as you don’t come across problems like I did. I downloaded the necessary app on Google Play which was super easy. The app walks you through the entire process. I came across a problem when it wanted to update the firmware. It took me a while to figure out the problem but I finally got it. The problem was with my phone and not the app. I needed to change my phone settings to allow “unknown sources” to install. After I figured the problem, everything else was a breeze. I started playing with the app and created some fun labels. I made some address labels which I really love. I also made some labels for personal items… “Property of Easter Babe’s Theory” and more. I used some of the fun clipart photos from the app and even added some of my own personal ones. The app even allows you to CONNECT TO FACEBOOK AND INSTAGRAM so you import your own photos. There are tons of fun ways to get creative… add art, photos, frames, backgrounds, and more! 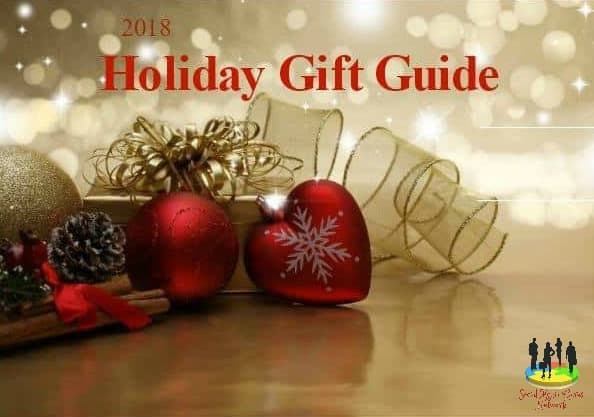 to your Shopping List for the holidays! This is such a cool idea. I love how it has an app to go with it. Thanks for sharing! Wow! Thanks for giving me an idea on what to give for Christmas. I can even give myself a Zink for Christmas! Such a cool gadget! That is so nice!! I want one for me. I want one too. This is fabulous and you can get real creative with this. Nice! This would come in handy! My daughter would love it. Oh my word, I want one of these. I take tons of photos everyday. It would be fun to print them with a Zink. I want one of these right now! This would be fun and easy and get a ton of use. Oh my, what an awesome little tool to have!!! I would have loved this when my kids were little and I was planning their parties! It sounds perfect for "crafty" adults as well–this is on my list! Thank you for sharing! It would be so cool to print photos from your phone whenever you want. OH my, this is too adorable!! Would be perfect for invites and scrapbooking!! Love it! Magical! My grandaughter will love this! Thank you. 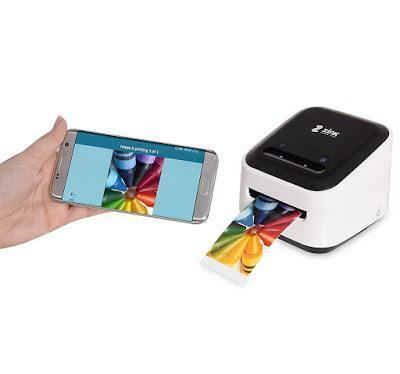 A color printer that fits in the palm of your hand and doesn't use ink?? Printing is magical!! I don't know how we made it this long without all these capabilities!! This is really clever! Thank you for this info!! I think this is really cool. I would love to have this. How creative is this!! Makes things really simple for the average adult and even fun enough for kids in school. Yhis for sure looks fun. I would always be running out og ink. It looks easy to use after a few tries! No ink?! Wow! This little printer is pretty incredible. What a great technology!